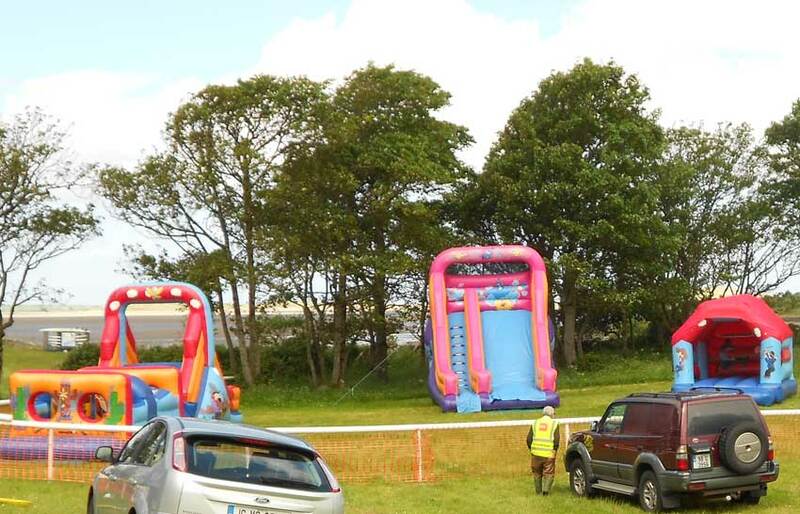 The Craft Fair at Strandhill Show is one of the longest established country craft fairs in the region. Having begun its life under blue canvas awnings secured to the ancient stone walls of the Lisheen farmyard, it now flourishes in a large marquee, providing colour, interest and entertainment, whatever the weather. With an emphasis on local talent, this year’s Craft Fair will have our usual mix of unique art and crafts, traditional and new, and the return of the Corhownagh Céili Band whose traditional tunes will enhance the celebration of creativity all around us! 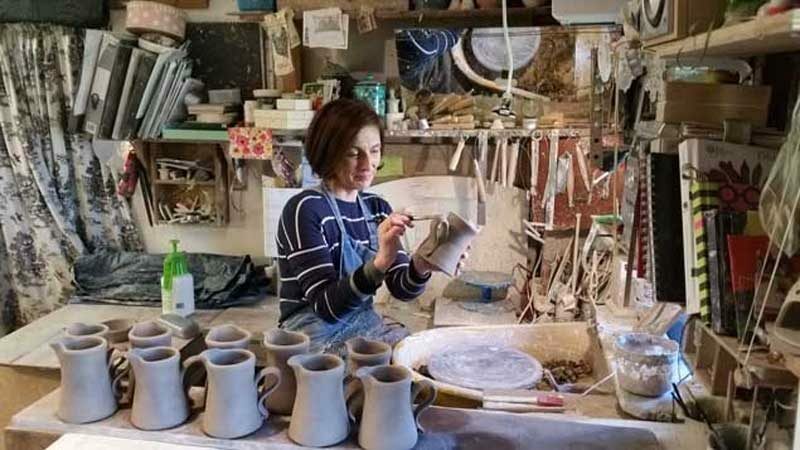 Breeogue Pottery-Callery Ceramics was founded by Gráinne McLoughlin and her husband Tom Callery in their beautiful converted stone stables at Breeogue. Gráinne’s highly glazed stoneware and Tom’s raku pieces with their delicate nature sketches have gained national and international recognition, and their recent elevation to the status of Economuséé has placed them in a select category of artists whose studios may be visited and the creative process seen up close by visitors. They have exhibited at every Craft Fair since 1998, and will come to Lisheen once again with their beautiful and ever-expanding contemporary designs. Philip Mahon, master wood-turner, is another of our long-serving craftsmen at Lisheen. As well as an acclaimed artisan, Philip is a great teacher, and adults and children alike love to watch chunks of wood become a beautiful variety of objects before their eyes, during the afternoon’s live demonstration of wood-turning. 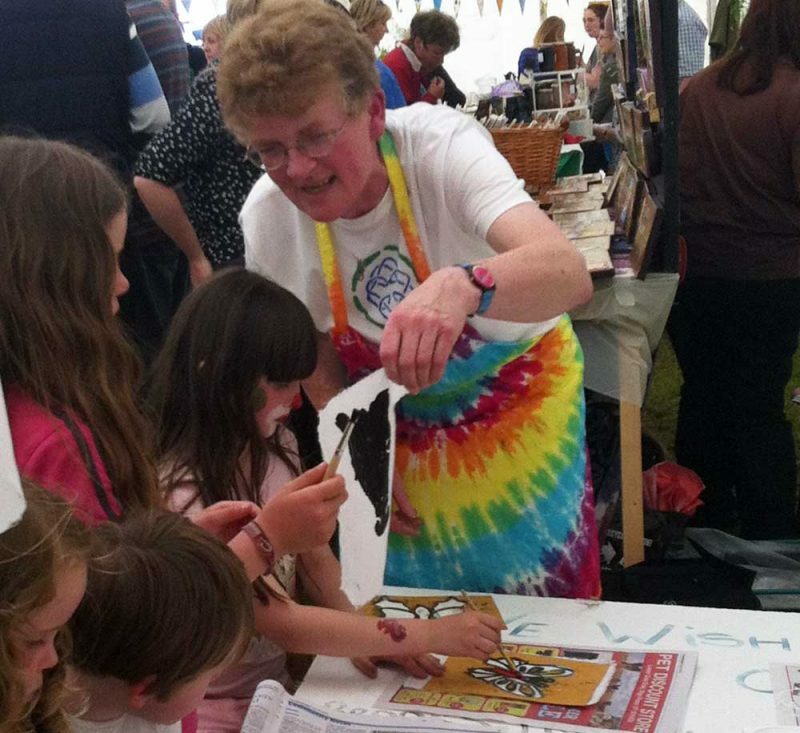 The ever-popular craft of traditional butter-making will be demonstrated by Violet Hunter and her family, who have attended all twenty of our Craft Fairs to date in spite of being in big demand for fairs all over the West and North West! Violet & Co. will turn cream into butter in wooden churns, and will serve samples on brown bread for all to taste. From Dolly’s Cottage in Strandhill, Deirdre Foley and her daughter Deborah will teach visitors to make St. Brigid’s Crosses from rushes picked in the fields near her home. Children particularly love this event, and happily take their newly-made crosses home with them. Deirdre, who has attended all of our Craft Fairs since 1997, was an original member of Strandhill ICA when they bought and restored Dolly’s Cottage, now one of the most important heritage buildings in the area. Deirdre will also do a limited amount of tea-leaf readings in aid of Dolly’s Cottage maintenance fund. Maribeth Milne, artist and art teacher, has loyally created interactive art experiences for children at every show to date. Her generosity and creativity create a new experience each year, during which children – and some adults! share her expertise and learn to produce prints and images to take home with them after a memorable and relaxing afternoon. Come along and see what Maribeth’s magic has to offer this year! Ursula Pilkington has always loved to collect interesting items, and her bric-a-brac stall at each year’s show is a delight for those who love ornaments and small pieces of interesting glass, paintings and silverware. We will welcome Ursula once again to the marquee on 24th. Textile artist and costumière Fionnoula Burke returns to Lisheen with her funky and original hand-painted puppet and doll creations. We are delighted to have Fionnoula’s stall, populated as it is with the whimsical and amazing faces of her community of dolls! Her beautiful designer quilts will also be on display. Carla Doyle creates ceramics that hold a sense of fun and originality – many pieces are personalised or themed towards special occasions – she is in great demand at mainstream markets in the region but comes back to us this year from her Co. Leitrim studio, and her signature pastel colours will once again add to the rainbow colours of the marquee. We are delighted to welcome Doyle’s Vintage China back this year – Angela McManus will present the glint and chink of antique china pieces on her legendary stall which evokes a bygone era of afternoon teas, cake stands, colourful china cups and saucers and other treasures to lift our tables out of the ordinary! Angela also creates delicate jewellery pieces from tiny remnants of china. Megan McManus, Angela’s daughter and the proprietor of Krafty Kards, visits the Fair again with her stall of bespoke cards for all occasions. Megan’s cards began as a Transition Year project, and have developed into the sophisticated and artistic collection that she will display at Lisheen this year – she will be a welcome artistic addition! The Corhownagh Ceilí Band are an up-and-coming group of traditional musicians from Sligo who have graced our Craft Fair and many local arts events in recent times – we welcome their uplifting presence again this year! Tatyana Kytmannow of Queen Maeve Jewellery – Tatyana designs and creates her own extensive range of jewellery in vibrant colours and elegant styles, both contemporary and traditional. She shows at many markets in the region, and this year we look forward to welcoming her to Lisheen. Anne and Wojciech are artists living in Strandhill. They will be first-time visitors to our Craft Fair, where they will show their beautiful collection of ocean-inspired paintings and crafts using seashells and pebbles. They may also have some new maritime crafts and produce on the day. Gillian Kennedy will bring for the first time her Italian-inspired Stucco Art creations and pieces to Lisheen – we look forward immensely to seeing these unusual textured hangings and to learning more about Gillian’s bespoke interior design creations with their continental flavour. Fab-u-licious Krafts is the umbrella under which an interesting new collaborative craft group exists; comprising patchwork from Rebecca Brennan, pottery & decorative slates from Brenda Duffy, paintings and decorative stones from Freda Hatch, Decorative boxes from Rebecca Shiel, Leatherwork from Stephen Hatch and Knitting & Crochet from Kathleen Harford – we welcome this creative group from Roscommon on their first visit to Lisheen. Itzoona Indian & Nepalese textiles, clothes and crafts sourced in India and Nepal by Una Fox who travels there on a regular basis, will be featured for the first time at our 21st Craft Fair. Una’s ethnic crafts and clothes will be a colourful and lovely addition to our Marquee. We welcome artist Amy McGovern, to this year’s gathering, and look forward very much to seeing her beautiful watercolour landscape paintings on display in the marquee. New to Lisheen is the Fiona’s Fayre stall – Fiona comes to us from Bellanaleck in Co. Fermanagh, where her exquisite selection of chocolates, cookies and confections are hand-made by her. A speciality is ‘Tablet’ – a favourite from her native Scotland, which can be sampled on the day! 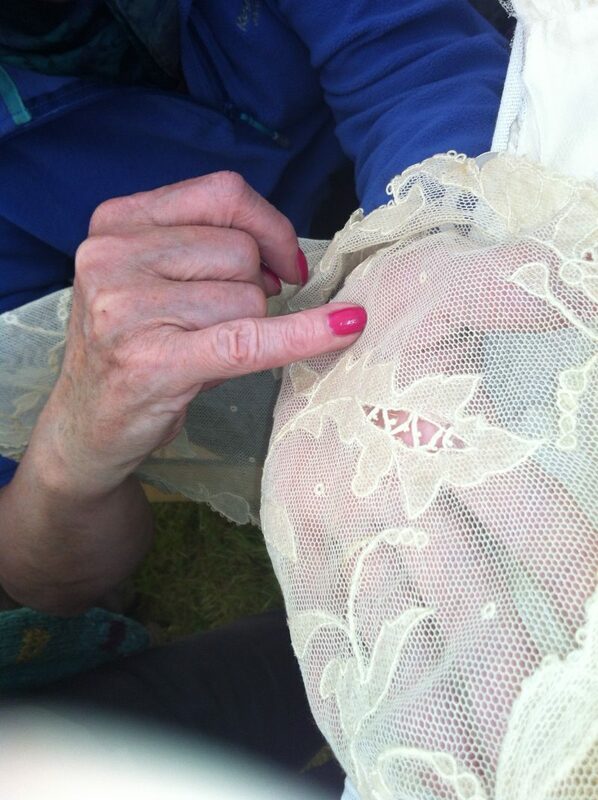 Enjoy a cup of tea as you browse around the Craft Marquee on Sunday the 30th June at Lisheen. Children’s maze – For a couple of minutes respite, why not let them loose in our new maze, and see if they can make their way out!! Throughout the Show, Face Painting will also be available! A chance to meet a record breaker as Sligo’s very own Henry Judge brings the worlds smallest cow Ella to the show this year. Groups will be given several tasks to complete within a specified time and a winner will be declared. 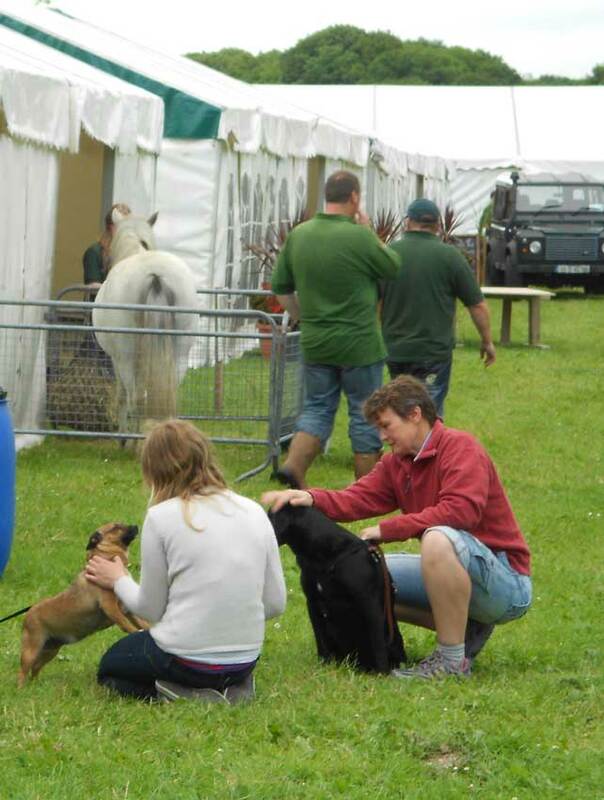 This has become one of the most popular events of each year’s show, the number of entries and variety of breeds increases annually and attracts huge crowds in the lovely setting of Lisheen’s green grassy grounds below Knocknarea mountain. The search and rescue helicopter will also be in attendance if it is not out on a crucial mission. 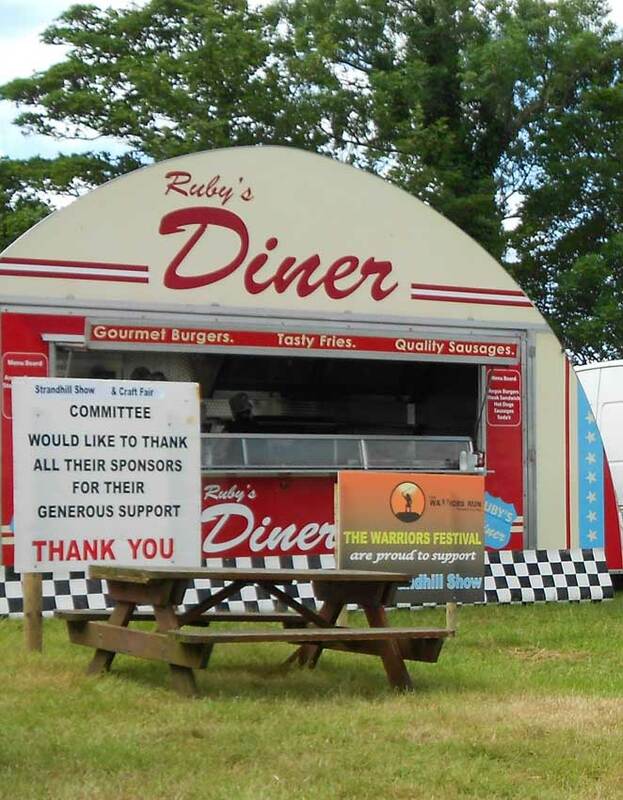 A small bar which also serves tea, coffee and scones will be available on site. Sligo concert band will start off the day with their repertoire of magical music.